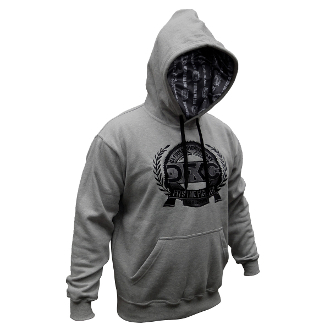 Our new EST Hoodie in gray, is here and ready for the cool weather or to keep you warm at those cold tournaments. These are all adult sized kimonos with our own cut and design and they are very comfortable too. These are not screen-printed they are 100% direct embroidery and very detailed for a very reasonable price! 100%Poly-Fleece with sublimated liner for extra comfort!